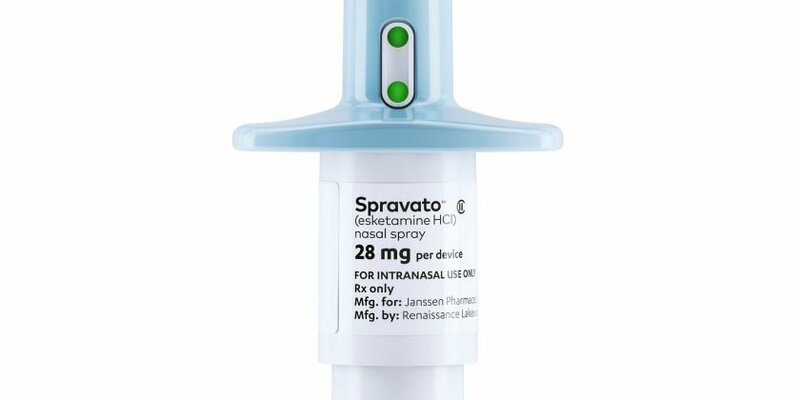 Spravato, a mind-altering medication related to the club drug Special K, won U.S. approval Tuesday for patients with hard-to-treat depression. Ketamine and J&J&apos;s version work differently than those drugs, targeting a chemical called glutamate that is thought to restore brain connections that help relieve depression. When the drug works, its effect is almost immediate. That speed "is a huge thing because depressed patients are very disabled and suffer enormously," said Dr. John Mann, a psychiatrist and researcher at Columbia University. If the drug doesn&apos;t work, physicians can quickly switch to other options, he noted. Since enrolling in a Spravato trial two years ago, Prothro says her depression has lifted and she&apos;s returned to hobbies she abandoned years ago, like gardening. She takes the drug every two weeks at her psychiatrist&apos;s office while reclining in a comfortable chair. "You can feel it coming on, it&apos;s a strong drug," she said, describing colors and shapes that drift before her eyes. "I just let the drug work. I close my eyes and my mind is amazingly quiet." "Substantially different agents are only rarely appearing from pharmaceutical companies or other laboratories," said Dr. Paul Summergrad, a psychiatrist at Tufts University. "That&apos;s prompting people to investigate other compounds." Unlike ketamine, psilocybin and MDMA have no legal medical use. Classified in the same category as heroin and LSD, they are tightly restricted by the federal government. But the FDA&apos;s approval of esketamine could smooth their path. Government officials haven&apos;t suggested an explanation for the trend, though academic researchers point to the nation&apos;s widening income gap, financial struggles and divisive politics. J&J&apos;s drug will be subject to a number of restrictions due to its abuse potential, side effects and lingering safety questions. The immediate impact of ketamine is thought to last just four to seven days and there&apos;s no consensus yet on how long patients can benefit from ongoing treatment. Wall Street has high expectations for J&J&apos;s medication, with analysts predicting more than $600 million in annual sales by 2022. But J&J will face competition in the marketplace. A decades-old drug, ketamine is already used off-label to treat depression by some doctors. At least 150 clinics around the U.S. provide treatment with various forms of the drug, which is available as a low-cost generic. Patients often pay hundreds or thousands of dollars for intravenous infusions of the drug over several weeks or months. Such therapies are generally not covered by insurance because they haven&apos;t been approved as safe and effective by FDA regulators. "This is going to bring in some standards, regulation and it&apos;s going to make it safer and more accessible to patients," said Levine, who serves as vice president of the American Society of Ketamine Physicians, a group representing doctors, nurses and others using ketamine for treating depression or other nonapproved uses.